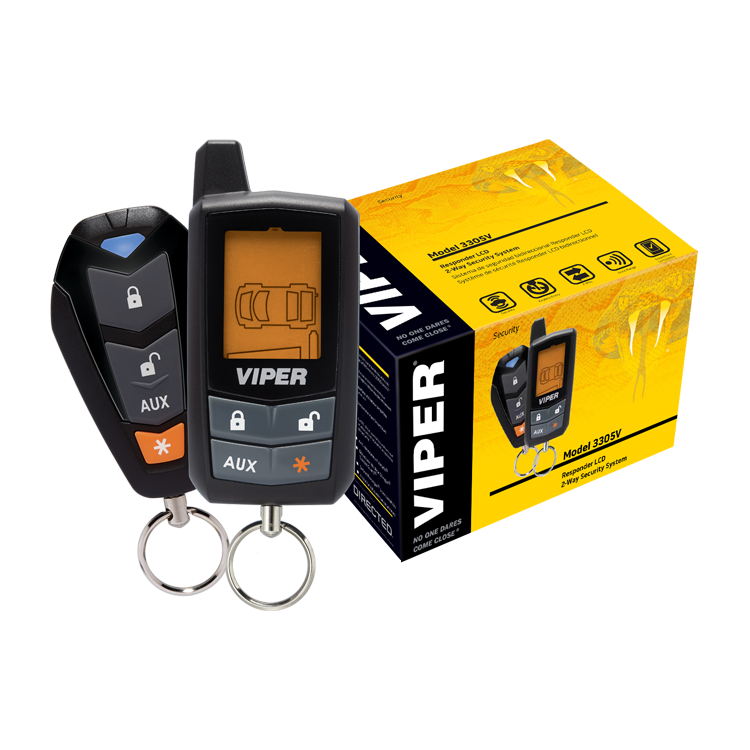 Viper is proud to introduce 3305VR, our most affordable 2-Way security system, which will wrap your vehicle in protection, with the most sophisticated electronic technologies available today, including the Stinger® DoubleGuard® shock sensor, six-tone battery backup siren and Failsafe® Starter Kill Immobiliser. 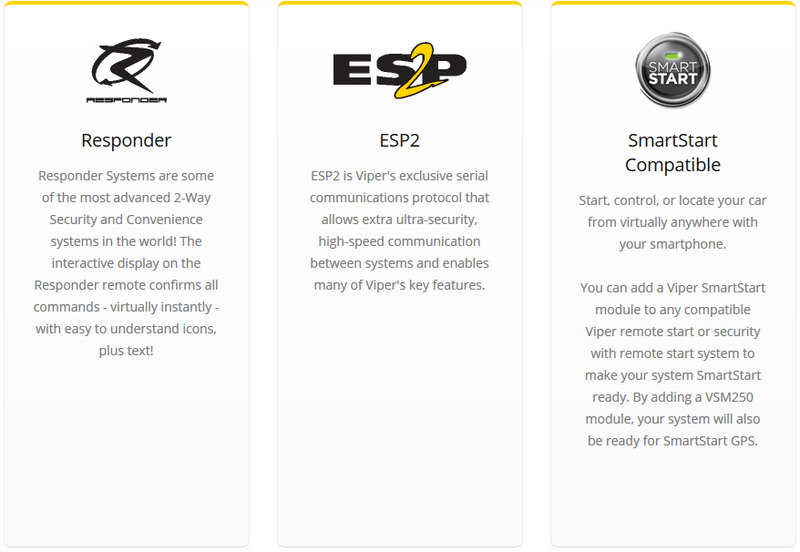 This state-of-the-art system also offers in-demand convenience features like keyless entry. Comes with one 2-Way and one 1-Way remote. Viper is proud to introduce 3305VR, our most affordable 2-Way security system, which will wrap your vehicle in protection, with the most sophisticated electronic technologies available today, including the Stinger® DoubleGuard® shock sensor, six-tone battery backup siren and Failsafe® Starter Kill Immobiliser. 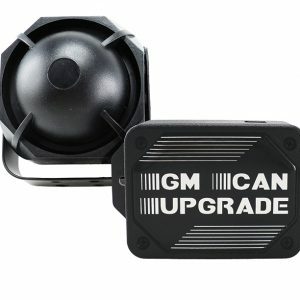 This state-of-the-art system also offers in-demand convenience feature like keyless entry. Comes with one 2-Way and one 1-Way remote. 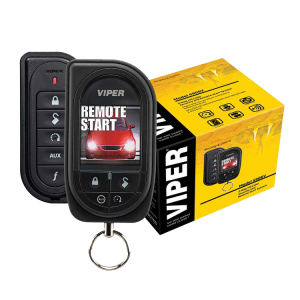 2-Way remotes let you stay in touch with your vehicle, confirming your commands (such as remote start, or arming your security system) either with an LCD screen on the remote, or using LED lights. 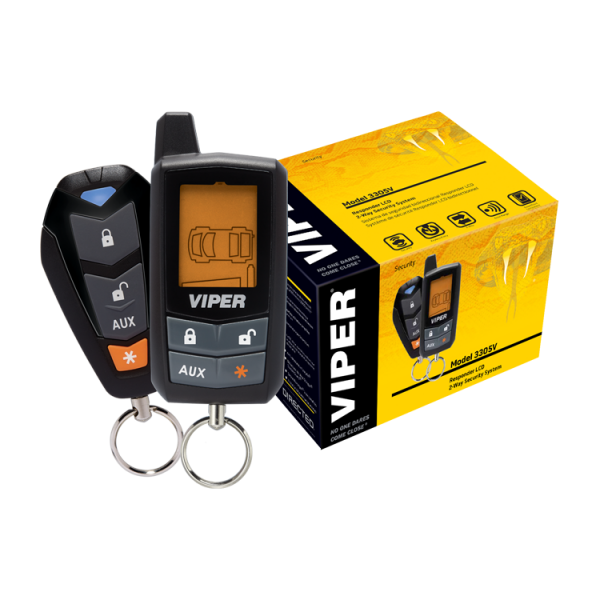 Some 2-Way remotes also act as a security pager, letting you know your siren has been triggered, even if you are too far away to hear it. 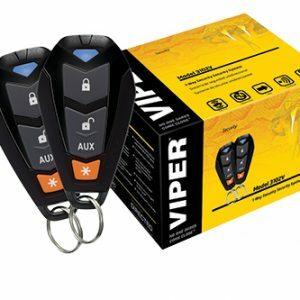 Unlock your vehicle’s doors with the push of a button on your keychain remote. A great safety feature: illuminates your vehicle’s dome light for 30 seconds when you disarm your security system or unlock the doors of your remote start system.